VOGUE Korea‘s Twitter account recently revealed and showed a behind-the-scene of its magazine photo shoot for the upcoming October 2012 issue featuring TVXQ! Click the photo below for its full resolution. 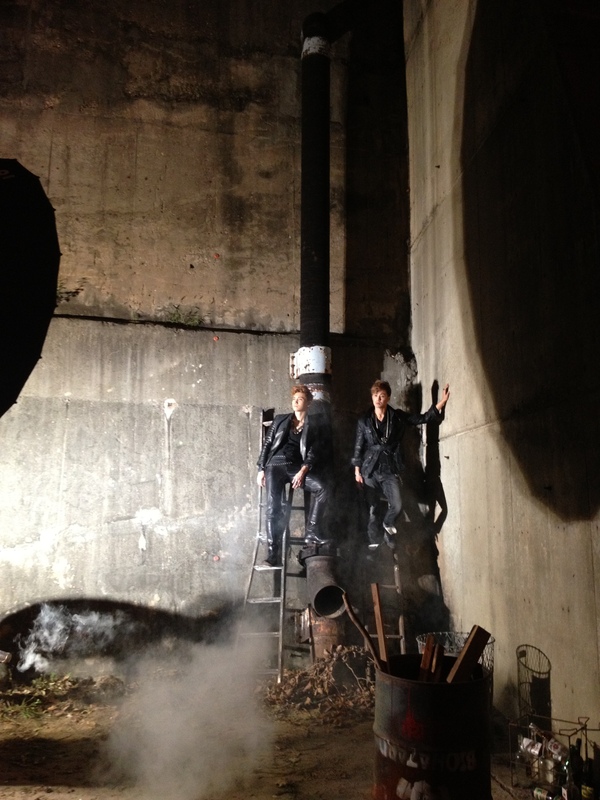 The photo showed a scene where Changmin and Yunho in their black suits, standing on top of ladders and posing for their photo shoot. It’s Sunday but the editorial department is on its last minute clean-up. They (TVXQ) look different as you take a look at their silhouettes. Even with that small faces, you can easily recognize them. They were the focus of the journalist of the October’s issue. October is just around the corner so do look forward to more photos from the soon to be released issue featuring TVXQ!